If you’ve taken a trip to your local grocery store lately you’ve probably noticed holiday decorations lining the shelves as lawn care items are slowly reallocated to hidden clearance isles. This means #GivingTuesday on December 1st is fast approaching! Giving Tuesday (branded for social media sharing as #GivingTuesday) is a special day of philanthropy and volunteering that follows Black Friday and Cyber Monday. If your corporation hasn’t started thinking about how to participate in this global day of giving, now's the time to start! Many companies experience a significant increase in their workplace giving program participation at this time of year. For instance, last #GivingTuesday, a major credit card company using FrontStream Workplace Philanthropy experienced a significant spike in workplace giving on December 1st after promoting the special day of giving to their employees. They saw 719 donations to great causes, exceeding the average number of workplace donations on #GivingTuesday! Results like these are encouraging, but your company is not limited to employee giving campaigns. There are several ways your business can answer the call this #GivingTuesday. Here's some suggestions to get you going! Start your campaign ASAP: Encourage an early start. October is the perfect time to decide how your company will participate and to make sure your marketing team has #GivingTuesday promotions on the editorial calendar. If you’re one of the many companies that offers donation matching, remind your employees early that if they’re planning to give on December 1st their gift will be doubled! Collect what’s really needed: You don’t have to limit your activities to collecting dollars. Reach out to local nonprofits in your community and find out what kinds of items they need most. It’s important to ask first so that you don’t collect unnecessary but well-meaning items. If you hold an office drive to collect those supplies, make it fun with interdepartmental challenges and prizes for top teams or individuals. Think recurring giving: Use #GivingTuesday as an opportunity to create repeat donors for causes you care about. Charities and nonprofits rely on recurring donations to help them forecast and plan for the future. Design your employee giving programs to allow your staff to easily sign up for monthly giving. Commit to volunteering: More and more companies are giving employees a paid volunteer day where they can dedicate time to the nonprofit of their choice. This generous gesture from your company creates a hands-on opportunity for employees to give back to good causes, increases employee morale, and drives enthusiasm at work! Appoint leaders: Select an internal team to run point on all your #GivingTuesday activities. The team will come in handy for overseeing and encouraging participation in activities, and can be responsible for reporting results. 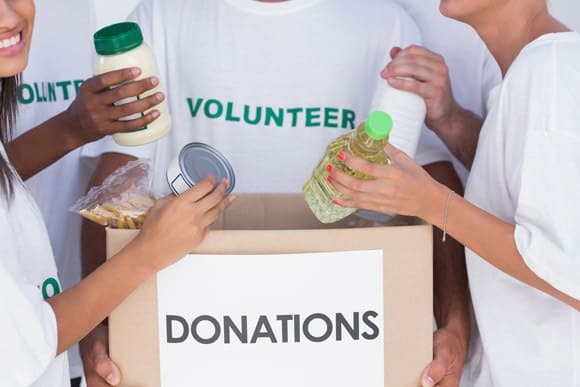 Make sure to quantify items like: Amount raised, volunteer hours donated, items collected, charities helped … These successes can all be reported back to your stakeholders. Go beyond a page in your annual report and make a fun infographic showing how your employees made a difference on #GivingTuesday. Lead from the top: Make sure your C-suite has a major presence in your campaign. Any programs you deploy should include enthusiastic representation from the top. Studies show that when employers are actively involved in their company’s CSR programs, Millennial employees are 27% more likely to participate. Keep it enjoyable: Plan activities that will engage and motivate your employees. Don’t burden your staff with goals that are not achievable, or activities that are too difficult to complete. Any activity that embarrasses the boss or includes free food is sure to draw more involvement and donations! Visit United Way Denver’s website for a list of fun ideas you can make your own. Whether your company’s planning a workplace giving campaign, donation drive, day of volunteering, or all of the above, these tips should prepare you to succeed on December 1st!